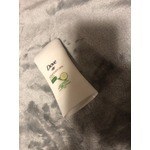 Deodorants are applied to the body to minimize body odor caused by bacterial growth and the smell associated with bacterial breakdown of perspiration in armpits, feet and other areas of the body. Antiperspirants is actually a subgroup of deodorant and it minimizes the smell of odor as well but antiperspirants also prevent sweating by affecting sweat glands. Très efficace contre la moiteur et Les odeurs, le parfum se libère. Une fragrance à faire rêver! Je recommande! Une odeur jeune et un produit hyper efficace : Secret!! 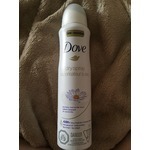 Love this spray deodorant. Smells great,makes my arm pits smell fresh all day. Easy to apply and does not leave any marks on clothes. Lasts longer than i thought and am quite impressed. I battle with over active armpits. Secret antiperspirant is the only product that does not make me smell like sweaty dog after a few hours. It keeps my shirts dry under my arm pits and the smell lasts all day. I'm the kinda women that needs a mans deodorant, women's just doesn't do the trick. I have tried lots of brands in the past but this one is the best. Smells like oranges and goes on clear. Last all day long. Un bon déodorant qui sens tres bon et qui fonctionne bien. Je l'adore totallement. Differante flagrance offerte mais je garde celui ci en coup de coeur. This is the holy grail of deodorant for me. I hate the smell of pretty much every deodorant out there, the sickeningly sweet fragrances mixed with BO. YUCK!! Mitchum keeps me dry and fresh with no awful smell and added bonus, no white marks on my clothes! This deodorant has a very lovely fragrant and fresh scent. 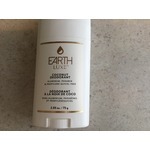 It works great, being a more natural alternative to deodorants that contain phthalates, aluminum and triclosan. Goes on very smoothly, does not stain. Highly recommended! This has been my fiancés go to since it has come out. It’s the only one he uses! Whenever he’s getting low and I ask what he wants me to buy, he always requests the same scent. It smells great, so I don’t mind that he loves it so much! This is a lovely benefit for deodorant. 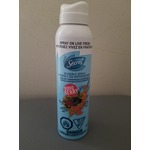 It is clear , scent free, and doesn’t stain while it fights odour and keeps you fresh. I keep using it because no others I’ve tried come close.